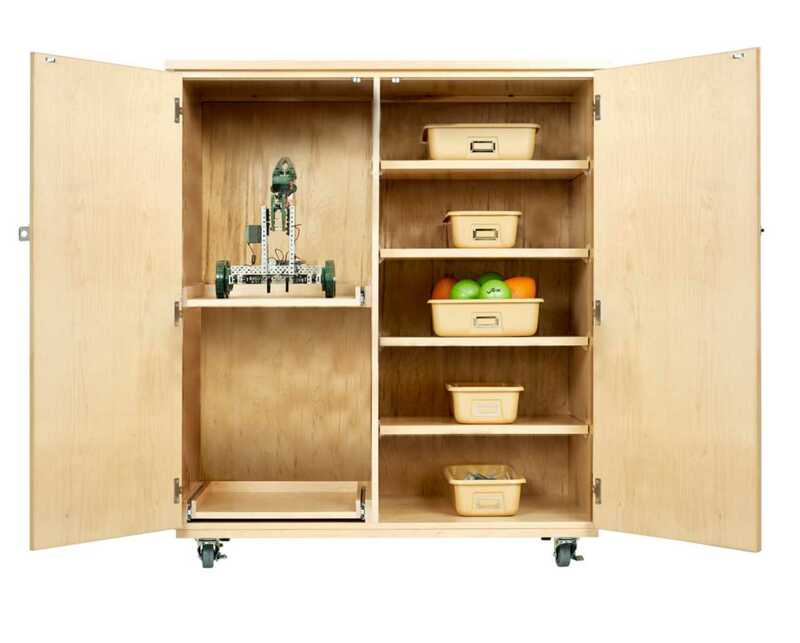 A mobile storage cabinet designed to work perfectly to store your robots and parts. 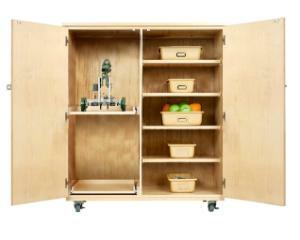 The cabinet is made of maple plywood and has swinging doors that are outfitted to accept a combination lock. The interior has two sections. 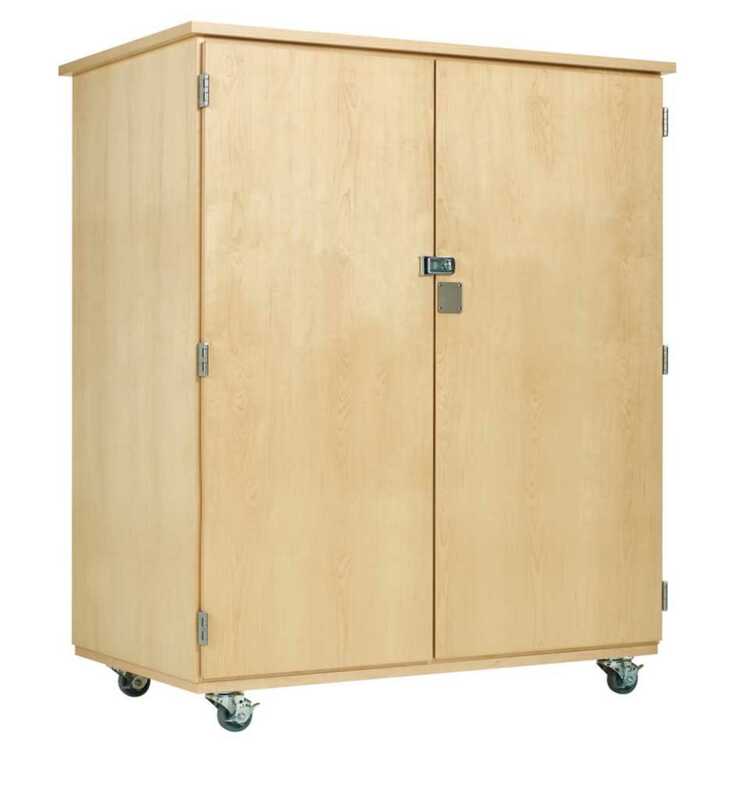 The left-hand section has two pull out drawers with full extension glides for storing fully or partially built robots. The right-hand section has one fixed and four adjustable shelves. The cabinet comes with 10 totes and rolls easily on heavy-duty locking casters.